I’ve been out performing with the Tin House Skeleton puppets again for Norwich City Council’s Spooky City Halloween celebrations. 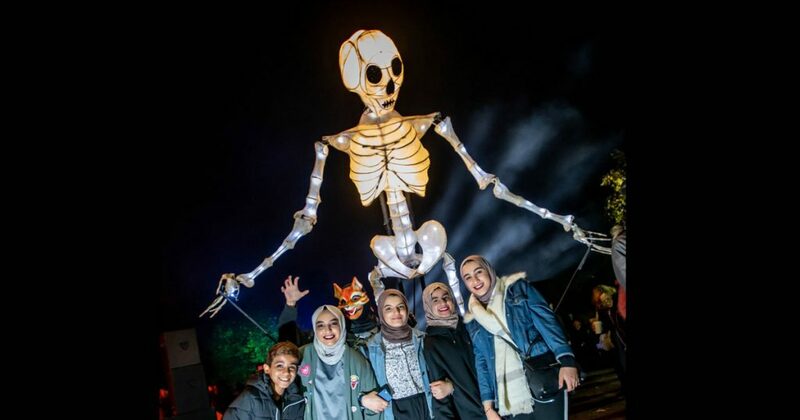 Hundreds of people attended the wonderfully atmospheric event in Chapelfield Gardens brought to (un)life by costumed performers, live music and local circus artists. More information and video can be found on the EDP site here.